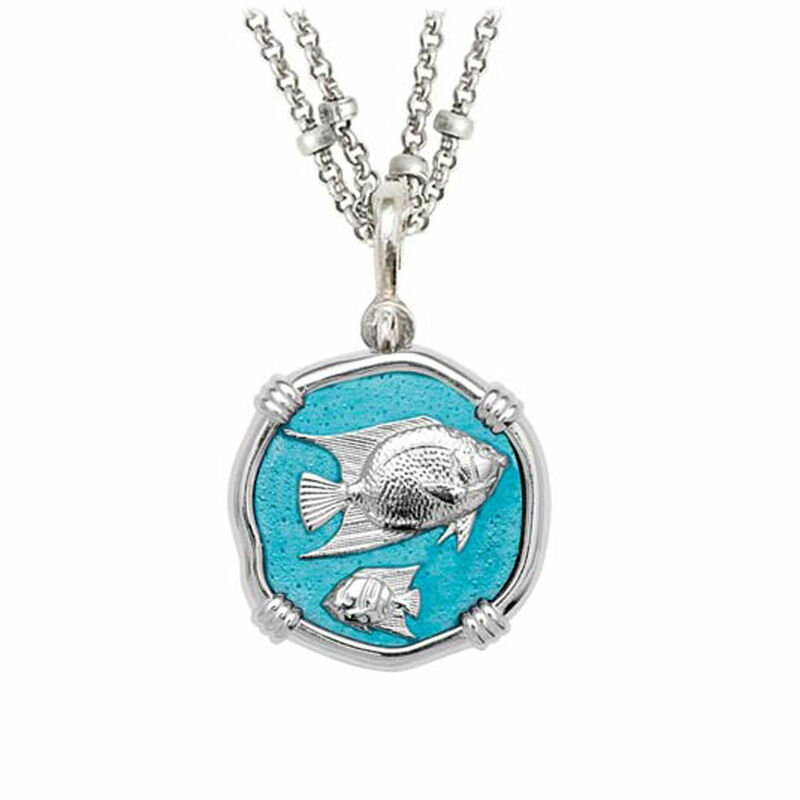 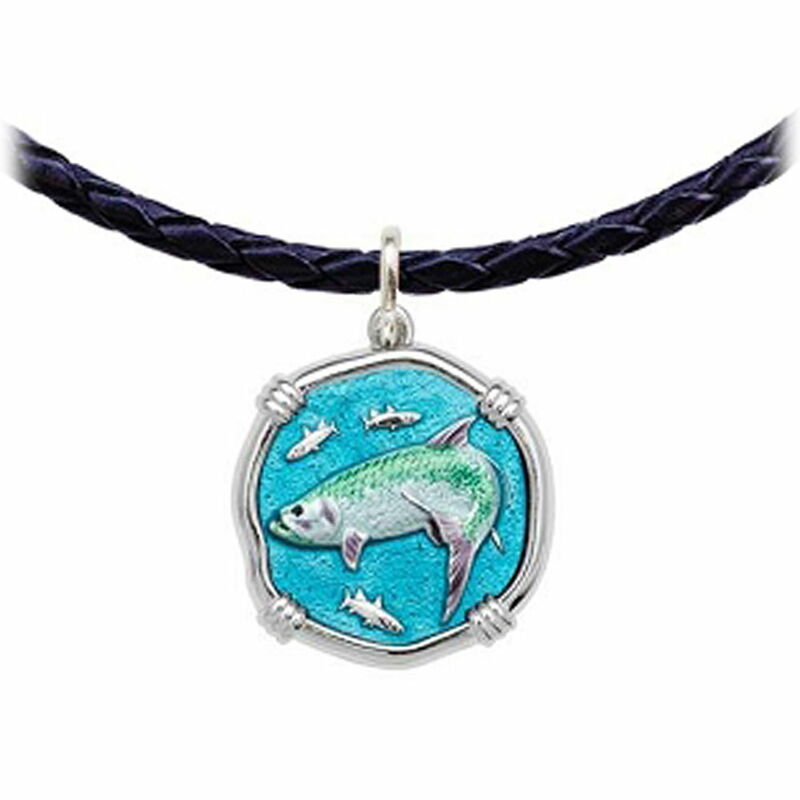 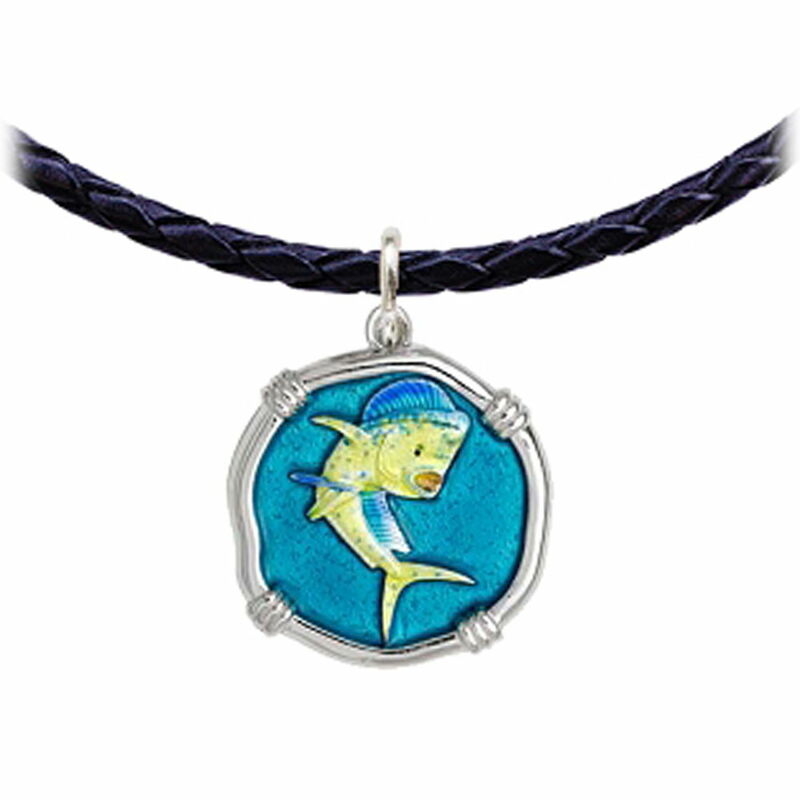 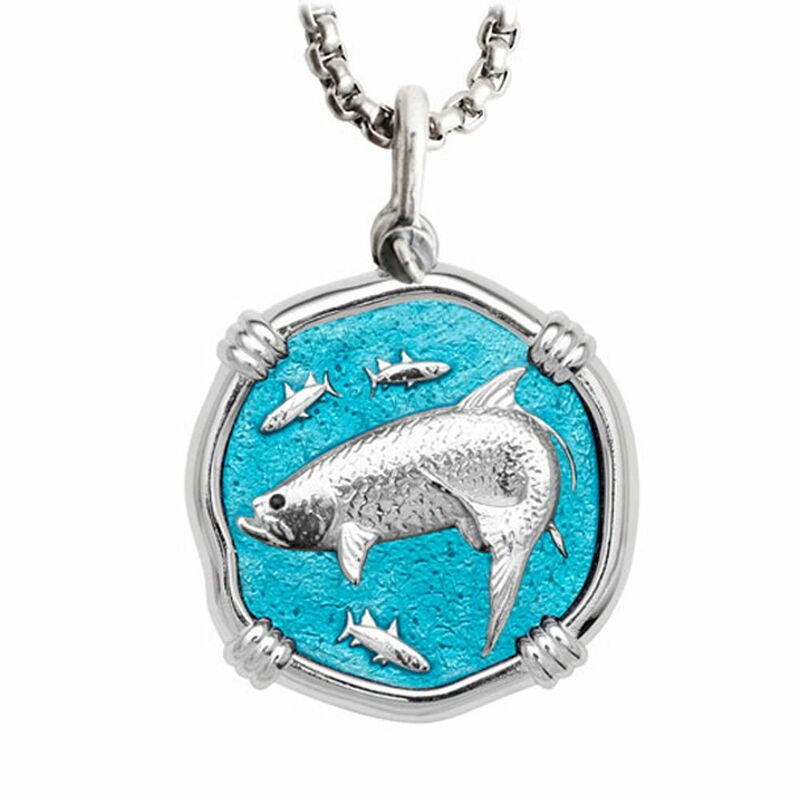 Angelfish on Double Stranded Necklace Cayman Green Enamel Bright Finish 25mm. 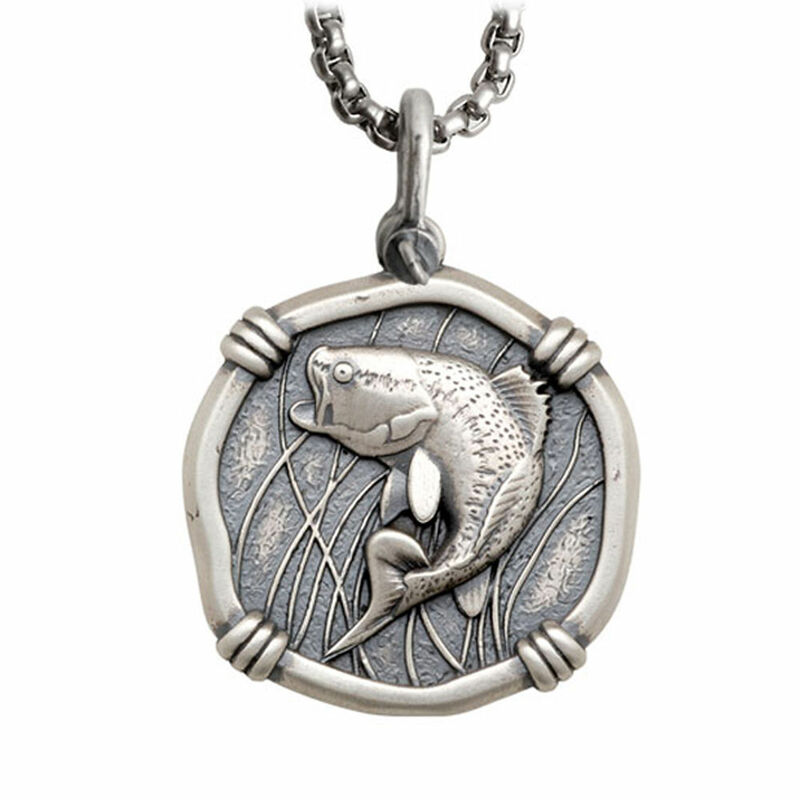 Available in 18" length. 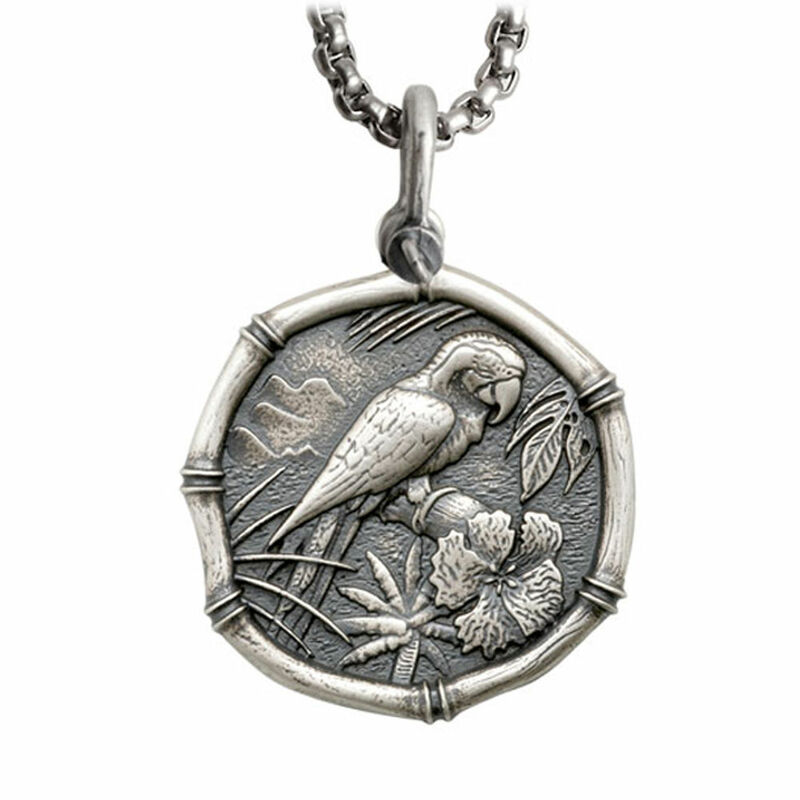 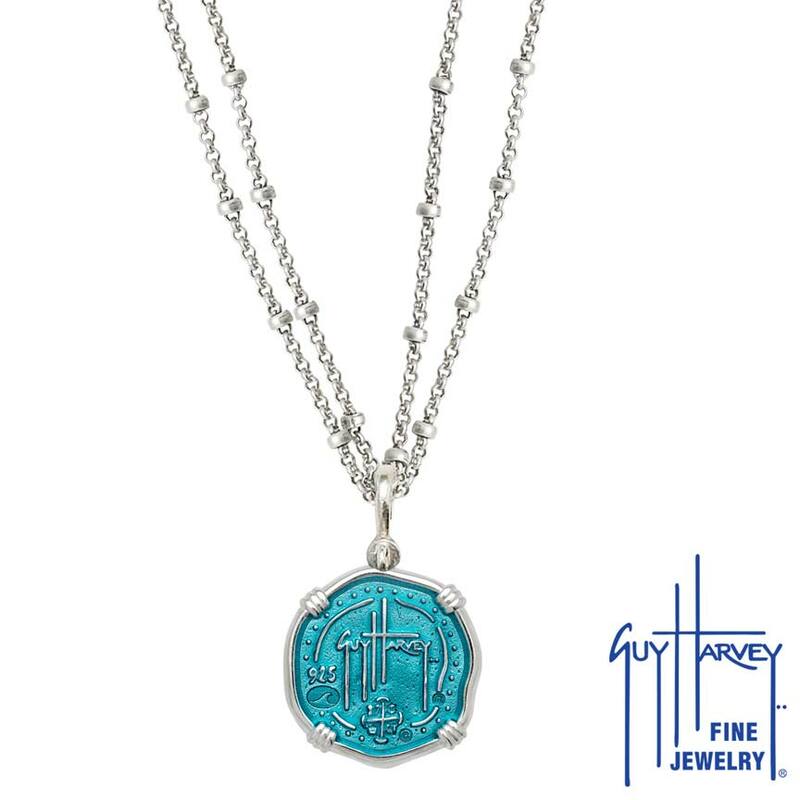 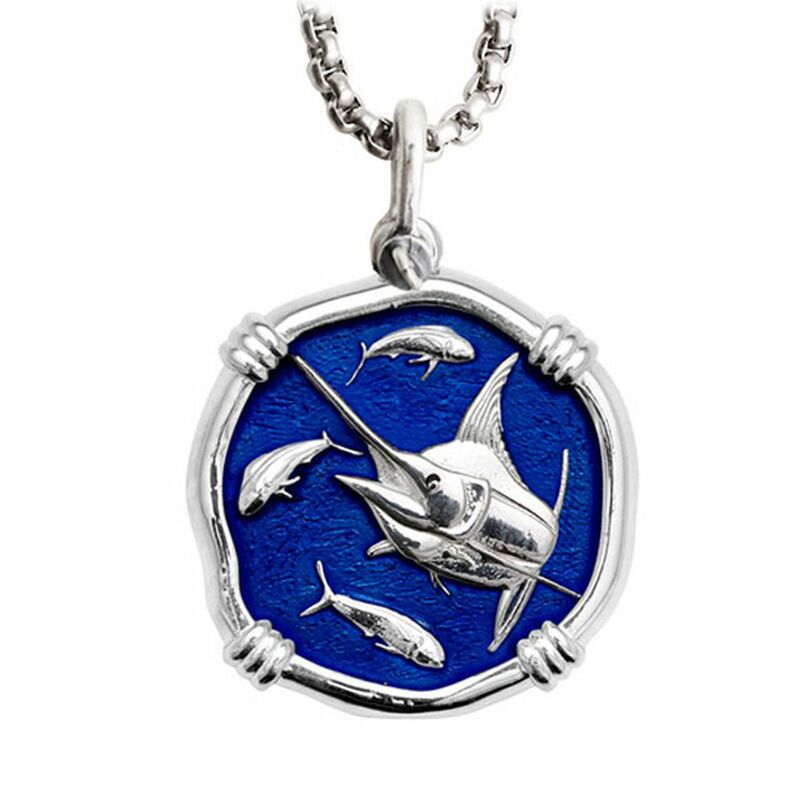 Guy Harvey signature insignia on reverse side of medallion.